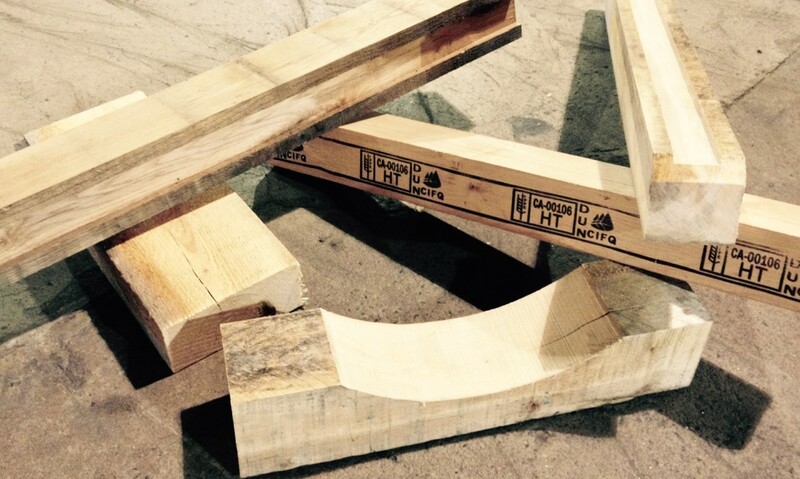 Various Skids and Blocks | Laurentide Lumber Co.
We manufacture various types of wooden skids, shims, and blocks for any type of blocking, whether it’s for commercial or industrial application. Available in softwood and hardwood, our skids and blocks are made to measure by design to fit your specific handling and storage needs. We also build trailer beds and braces for shipping goods over land and sea, as well as container shipping by air. Our tongue and groove timber can be customized between 1″ and 3″ to suit your needs. We also offer the option of certifying your skids and blocks to Canadian Food Inspection Agency (CFIA) standards for international export. If you have any questions or comments about our skids and blocks, or for any further information, contact our experts today. We’ll be happy to help as soon as we can.